Your Ideal Marine Offshore Engineering Partner in Asia Pacific! PT Asia Foundry & Engineering is a private Foreign investment company in Indonesia . was established since 1995 which is developing very rapidly. 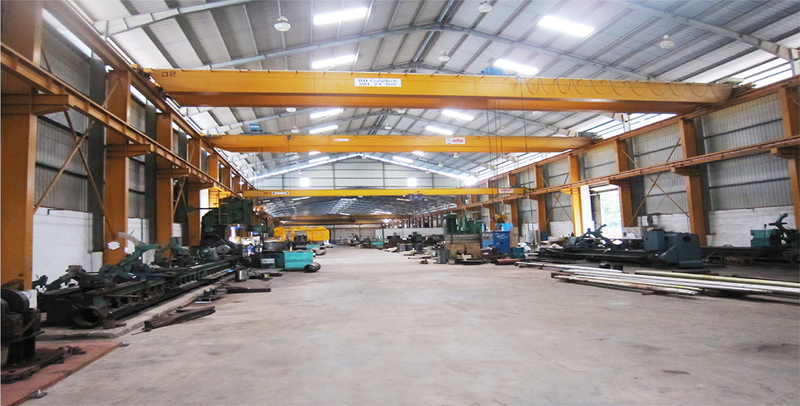 PT Asia Foundry & Engineering a branch company of ASIA FOUNDRY ENGINEERING PTE LTD established since 1968 in Singapore. with a team of dedicated engineers, has grown from strength to strength. Apart from offering efficient services in handling marine engineering equipment, Steel construction , fabricating marine Bronze propellers and steel Marine equipment ( Stern Boss, Tail Shaft , Rudder Assembly , Kort Nozzle , Stern Roller , Tiller Arm) , casting of non- ferrous machinery parts, we also supply marine engines, gearboxes and a wide range of marine hardwares to the shipbuilding & Repair Marine and industry Part in Batam Indonesia. PT Asia Foundry & Engineering one of Representative Work Shop a biggest Marine Workshop in Batam. PT Asia Foundry Founding in 33.000 M² Area with Workshop 13.200 M² , Supported electrician Power by PLN 860 Kilowatt and Over Heat Crane 50 Tons. PT Asia Foundry & Engineering is the biggest Foundry in BATAM Indonesia and has certified Foundry workshop by Marine classification society ( ABS , DNV-GL , BKI ) . In order to provide better products and services to our increasingly sophisticated clientele, PT Asia Foundry & Engineering has expanded its range of heavy machineries Lathe Machine 16 Meters Long with Maximum Load 24 Tons, Vertical Late Max Diameter 4200mm with Maximum Load 25 Tons, Horizontal Borer with Traveling track 6 Meters. These high precision machineries give us the versatility to undertake virtually any difficult engineering work. Coupled with our skilled and experienced personnel, all finished products are guaranteed the highest standard of workmanship and with the most stringent quality control exercised. With an established reputation for quality and on-time delivery, PT Asia Foundry & Engineering continually invests in new technologies and upgrades personnel with practical and enhanced engineering skills. We believe that no job is unattainable and we are always ready to discuss our customers’ requirements and provide the best solution for them. We provide full range of engineering works. Copyright © 2019 Asia Foundry & Engineering Pte Ltd. All Rights Reserved.